Chopping down trees in order to provide fuel for heating homes and businesses may not initially seem an environmentally friendly thing to do. However, much of the wood felled in the industry is sustainably grown and managed by farmers who grow trees or other suitable crops in order to produce fuel, and only produce as much biomass as is manageable in the overall lifecycle of their estate. Biomass in large quantities can also come from reclaimed wood and plant material that would otherwise be destined to go to waste. The use of wood, be it recycled or directly felled, is actually considered to be highly sustainable. Another environmental consideration with biomass boilers is the emissions produced by the large vehicles that deliver the wood fuel. Nonetheless, the wood can usually be sourced from the local area, which can keep fuel delivery emissions to a minimum, as well as boosting the local economy. What’s more, given that some fuel silos can hold a year’s worth of fuel, these deliveries will not need to take place regularly. It is advisable to always check with your fuel supplier that the wood has been sustainably sourced and produced as this will mitigate any unnecessary costs to the environment as a result of your biomass system. The burning of biomass does, of course, result in both carbon dioxide and nitrogen dioxide emissions (NO2 and CO2), the carbon produced being the same quantity as what was absorbed by the plant during its lifetime, so the total carbon emission is negligible. If the burning process within your boiler is faulty or the system has not been set up correctly, then the emissions (due to the incomplete combustion of the fuel) can produce carbon monoxide (CO), benzene and volatile organic gases, amongst other toxic substances that can be carcinogenic, so please ensure your boiler is serviced well and is operating inside the manufacturers guidelines at all times. 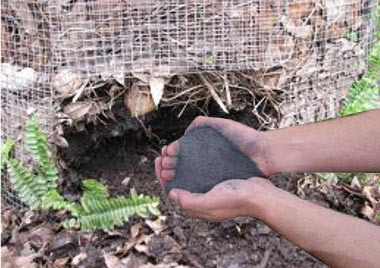 The ash produced by most biomass boilers is considered to be a compostable component. This can be used by horticulturalists for compost or simply be sent to landfill as this is a harmless natural material. There is currently no requirement to dispose of this under controlled conditions. Find suppliers of biomass boilers in your state.